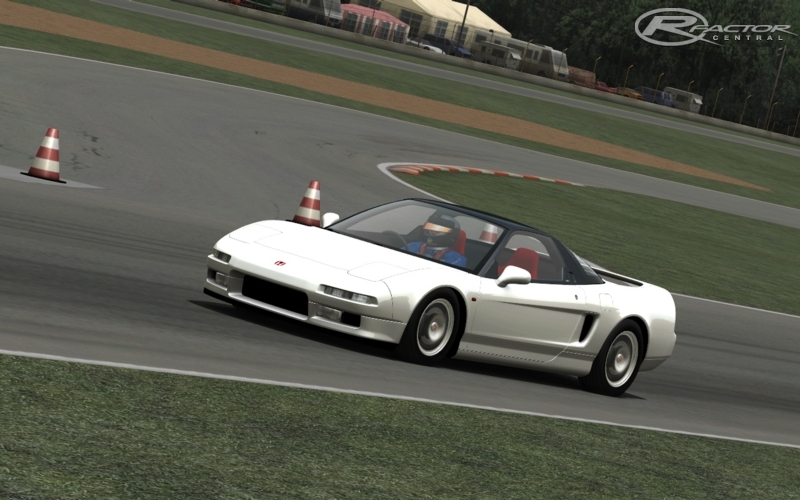 Honda NSX, one of the greatest sports cars ever made, is now available for rFactor. The car features highly detailed 3D models created by Siim Annuk, and accurate physics created by Niels Heusinkveld. Available as left- or right hand drive (selectable via upgrades). Please make sure to pay close attention to the inclosed PDF file, featuring important information such as RealFeel settings and other tips how to make most of this well-crafted mod. In other words -- read the readme! NOTE: As always, DX8 and DX7 modes are not supported. Please make sure you are running rFactor in DX9 mode! There are currently no setups for Honda NSX. Add a Setup. There are currently no car skins available for Honda NSX. If you are a painter you can share skins for this mod via the Car Skins area. Visit the Spray Booth for painting tips & tricks. This is my favorite mod! I love the detail of the cars and the handling feels pretty realistic, even on winding tracks. Its a great mod for driving Gran Turismo Tracks. I did have some problems with it though, namely the tire sounds are shrill, and track shadows don't render onto the the car at all (I tested it side-by-side to a ZR). Thanks for the awsome street cars. I give me an error when I open the game. teneis que abrir el rfactor usando DX9 o mejor! al parecer el modelado del coche no cargar shaders no menos de DX9. Lo intente todo y nada de funcionar, todo bien hasta que voy a selecionar el coche, me lanza un error sobre no encontrar la textura en el folder. Lo baje 3 veces y lo instale varias, hice al pie de la letra lo que decia el readme del mod. Simply the best! I've installed rFactor just for this car and not did it not disappoint, but it amazed me! Even my expectations were not that high, and high they were- this car is a masterpiece - physical, visual, aural! Thank you Siim and Niels!!! Nothing needs changing tweaking adjusting. what a perfect mod. only! >>> REPLAY FRIDGE mode's replay <<<only!